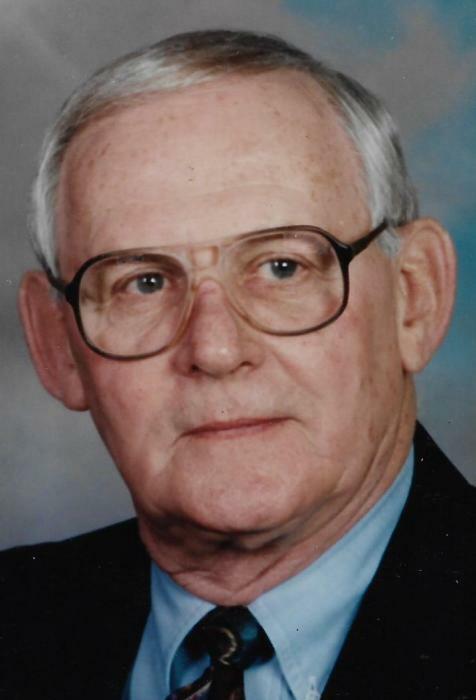 KEWANEE – Raymond G. “Ray” Heinrich, 85, of Kewanee, died at 4:50 a.m., Monday, April 1, 2019 at the Kewanee Care Home. Funeral services will be held at 1:00 p.m., Friday, April 5 at Faith Evangelical Lutheran Church in Kewanee. Pastor Paul Weber will officiate. Visitation will be held from 11:00 a.m. until the time of the services at the church. Burial will be in Pleasant View Cemetery. Memorials may be directed to Faith Evangelical Lutheran Church. Rux Funeral Home in Kewanee is in charge of arrangements. He was born April 15, 1933 in Kewanee, the son of Daniel and Eloise (Heideman) Heinrich. He married Sandra Dilts on March 15, 1959. Survivors include his wife of Kewanee, a son, Mike (Jill) Heinrich of Iowa City, IA, a daughter, Melissa (Alfred) Ellsworth of Park Ridge, IL and six grandchildren; Tom and Jayne Heinrich, Erin (Matt) Budi and Megan, Al and Dan Ellsworth. He was preceded in death by his parents, a brother, Frederick Heinrich and his sister, Bernita Vancil. Ray graduated from Kewanee High School in 1951 and from Valparaiso University in 1954. He started his career as an insurance executive at Illinois Mutual in Peoria and had a long career in insurance and real estate for Schwefel, Heinrich and Grice and Arrow Realty and most recently worked as a Sales Associate for Spets Brothers in Kewanee. He was a member of Faith Evangelical Lutheran Church and a past member of many professional and civic organizations including MidValley Association of Realtors, Rotary Club (President 1979-80 and Rotarian of the Year 1972-73) and Kewanee Chamber of Commerce. Ray loved spending time with his family, was an avid Chicago Cubs fan and enjoyed tending to his garden and lawn.